We are providing a second interim report at 4TB on our Project Kenko 01. 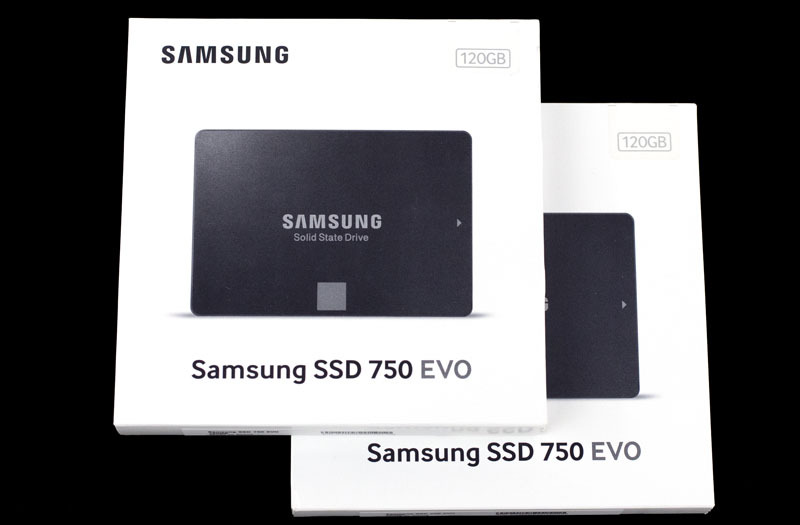 For a quick background, we are taking two Samsung 750 EVO SSDs and writing to them until they fail. You can read more about the experiment here. 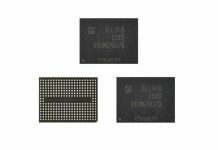 Since this is a more modern SSD endurance experiment, we can see the impact of using TLC NAND on endurance. We also have two drives running, one with 0GB on the drive where the endurance test is occurring across the entire drive. The second drive we pre-filled with 90GB of data to show what happens when the drive has an OS plus some applications on it. In our first update, with 2TB written, we saw that the drive that was pre-filled has a different wear leveling count tick rate than the empty drive. With 4TB written on the drives, there is a very clear divergence. The project is quite a bit further along but we wanted to show the impacts of writing to these drives even with 4TB written. This is just over 10% of the warranty figure’s 35TBW. 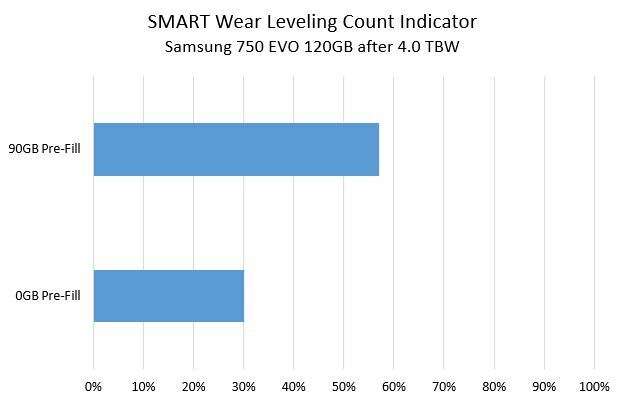 This is a very interesting result as we have seen the SMART wear leveling count indicator move twice as fast on the drive with no static data versus the drive with 90GB of data sitting static on the device. 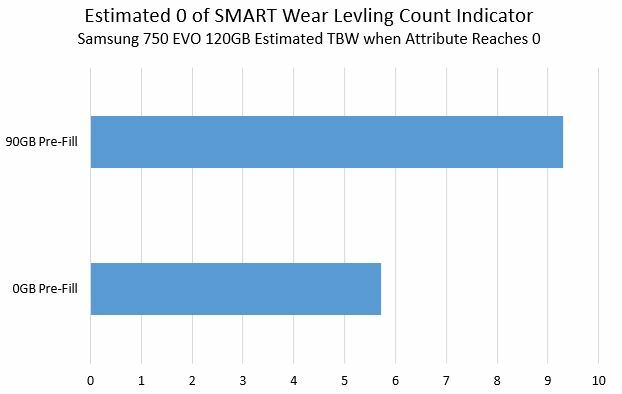 Here is an estimated point where the Samsung 750 EVO drives will hit 0 on the SMART attribute. Not to make this too anti-climatic, but the 0GB pre-fill drive did slow down its wear leveling rate. At around 5.7TBW it still had 19% remaining on the wear leveling count so there is a slowdown coming. One question we get is what about performance. By the first hour or two of writing to these SSDs, we are now seeing around 14MB/s write performance. We have been restarting the system every 1TB written to ensure the SSDs can still handle a power cycle. At 4TB and for more they are working fine. 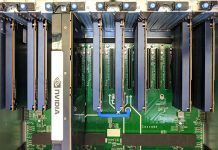 Since we are quite a bit ahead of our updates in the experiment, we would suggest that these drives are going to be OK for desktops where cost is the only concern. 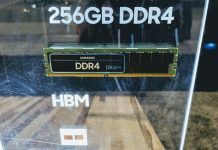 We have seen applications such as Firefox write quite a lot to SSDs so we are rapidly approaching the point where endurance figures are closing in on what desktop users can see in the real world.